It’s that time of year where you bust out that old ratty college tee and show your school pride (even if you haven’t been to a game since you graduated). It’s the principal of the matter, okay? That’s right folks, March Mayhem is about to turn everyone into full-fledged couch potatoes with wing sauce dripping from their fingers. So now the question becomes, where are you going to go watch the games? Well, luckily there’s more than enough bars and restaurants in Las Vegas to catch all the action. It’s time to call the college squad up and party like you used to back in the day. The hoops, the hoops, the hoops are on fiyyya! See what we did there? Hoops Madness is back and it’s time to celebrate by bringing down the house at Beer Park in the front of Paris Las Vegas. This is one of the hottest places to watch college basketball, and we’re not just saying that because it’s on a rooftop patio. So call for a reservation or purchase a package before it’s too late and you don’t have a place to watch the games. They even make betting easier with their on-site sports book. So, you’ll never have to worry about being too far away from your beer or those delicious nachos. It’s okay, we have separation anxiety too. Is it getting hot in here or is Beer Park just bringing the heat? When March Mayhem gets rough, MB Steak inside the Hard Rock Hotel & Casino is there to comfort you with burgers and beer. We all know how it feels when your bracket takes a turn for the worst. 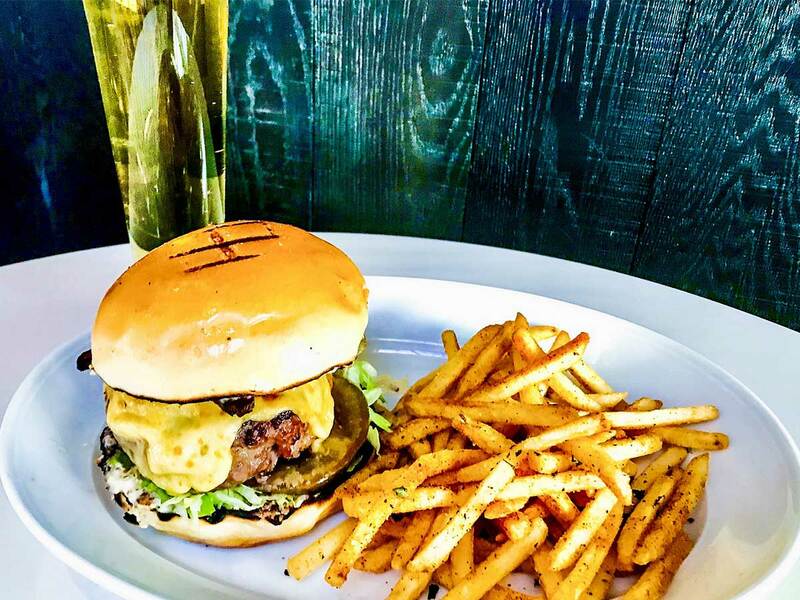 All you want to do is drown your sorrows in a good burger and even more beer. 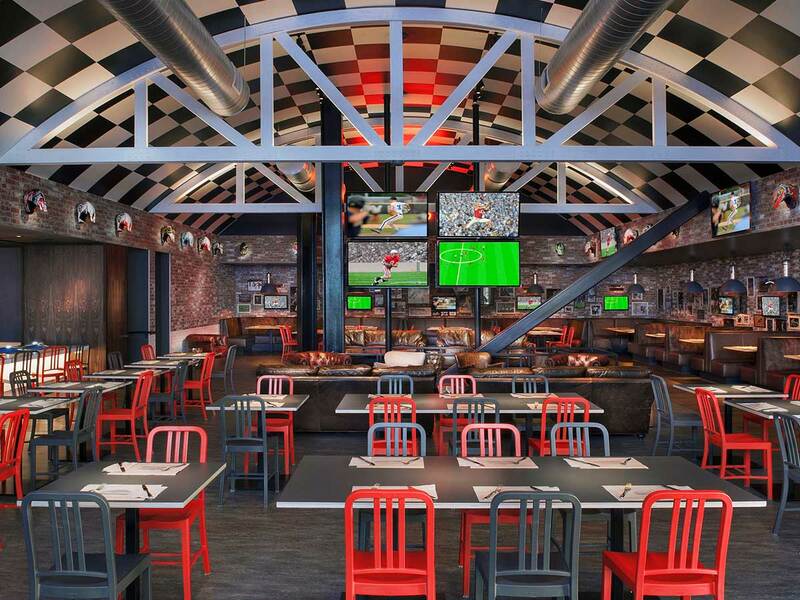 At MB Steak they’ll be serving a burger and beer pairing to help comfort you after that 5th seed upset. There, there, it will be okay. Your research is done, your bracket is made and now all you have to do is place your bets and watch the games. But it’s hard to watch all of them at the same time AND place your bets. 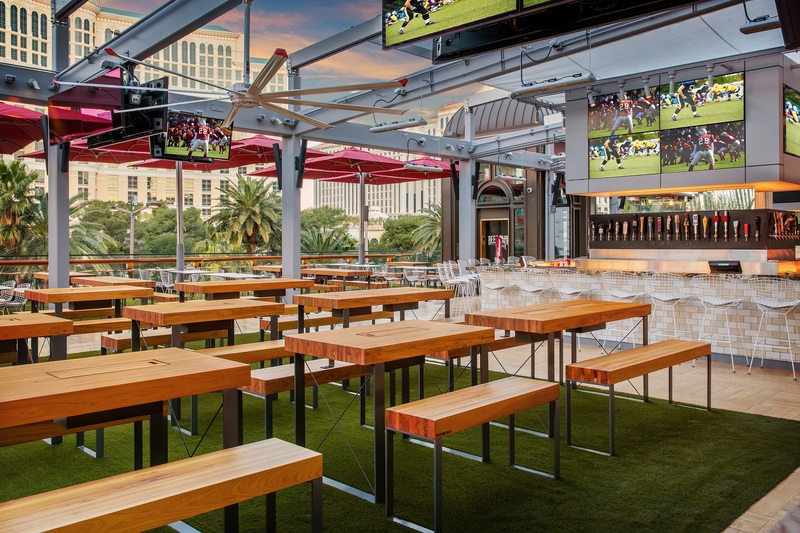 Not at Unami Burger, Beer Garden and Sports Book at SLS! They make Hoops Madness so much easier by having it all in one place. To sweeten the deal, they’ll even have a few food options to choose from so biting your nails will only be your first course. Sit back, grab a beer with your buddies and may the best bracket win. It’s time to request the month off for your favorite holiday, March Mayhem. If you’re anything like us, you’re a yeller and that’s perfectly fine, just not at work. We can’t help losing it when a monumental team in our bracket messes up and gets beaten. 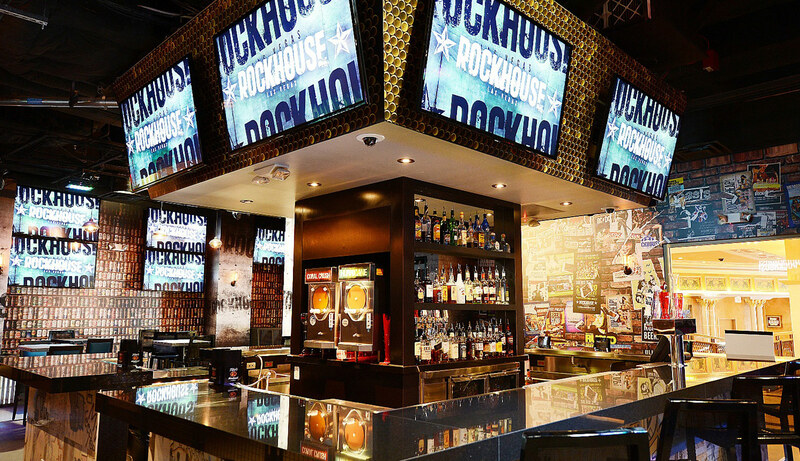 So when March Mayhem starts, we head to Rockhouse at the Grand Canal Shoppes instead of hovering over our computer screens or waiting for those ESPN notifications. There, we don’t feel judged by our co-workers or anyone else who doesn’t understand our obsession. They have premium open bar packages, tons of TVs to catch all the action and a no judgment zone for all the screaming that’s about to go down. March Mayhem is totally N.S.F.W., so it’s time to enjoy it here instead.